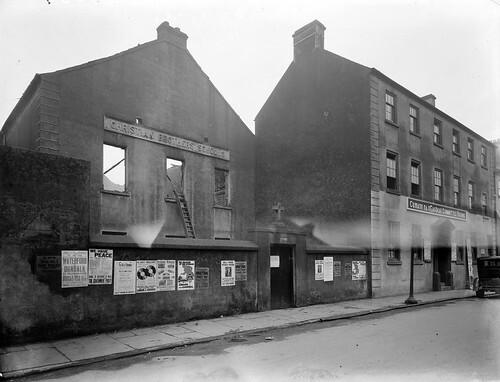 The Irish political party Cumann na nGaedheal (Society of the Gaels) was founded by the politician and writer Arthur Griffith in September 1900. Griffith founded the party to bring together the various nationalist groups which existed in Ireland at that time. 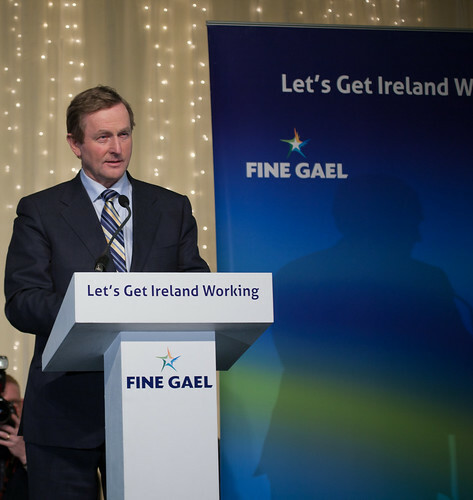 In 1933 Cumann na nGaedheal merged with other groups to form the political party which is today known as Fine Gael (Family of the Irish). Griffith played a leading role in the achievement of Irish independence. Through his writing he was influential in developing many of the ideas behind the movement which eventually led to the break with Britain. He was opposed to violence and was an advocate of peaceful means as the way to achieve Home Rule. As editor of the United Irishman he encouraged the idea of self-government for Ireland. One his ideas was for Irish independence under a dual monarchy. Following the War of Independence, Griffith was selected to lead the ‘envoys plenipotentiary from the elected government of the Republic of Ireland’ in negotiating the Anglo-Irish Treaty 1921. The Treaty established Ireland as a self-governing Free State and was ratified by 64 votes to 57 by Dáil Eireann on January 7th 1922. When those opposed to the Treaty lost the vote, they walked out of parliament led by Éamon de Valera. Arthur Griffith died during the Civil War which followed. The civil war ended in victory for the supporters of the Treaty on May 24th 1923. Cumann na nGaedheal (Society of the Gaels) was founded by Arthur Griffith in the year 1900 On This Day. Boris Yeltsin was the first President of the Russian Federation serving from 1991 to 1999. During his first term as President he made a stopover at Shannon Airport in 1994. He was returning to Moscow following a visit to the US. He was due to hold talks with An Taoiseach Albert Reynolds. However the meeting was cancelled because the Russian President failed to emerge from his jet. It was reported that he was sleeping and was not wakened on medical advice. 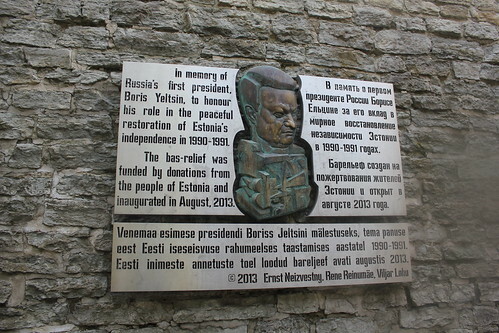 Boris Yeltsin was born in Sverdlovsk [now Yekaterinburg], Russia on the border between Europe and Asia. Having studied at the Ural Polytechnic Institute he majored in construction and worked in the building industry. He became active in politics, eventually being appointed mayor of Moscow by Mikhail Gorbachev in 1985. However Yeltsin was critical of Gorbachev and the slow pace of reform and was forced to resign in 1987. He continued to campaign for reform and was elected President of the Russian Federation in June 1991. In power Yeltsin rapidly introduced the reforms which Gorbachev had initiated. In the event, during the change from communism to capitalism, some people became very wealthy but many Russians experienced poverty. The fall in the standard of living led to a fall in popularity for Yeltsin but he was re-elected as President in July 1996. He served until December 31st 1999 when he resigned and named Prime Minister Vladimir Putin as acting president. 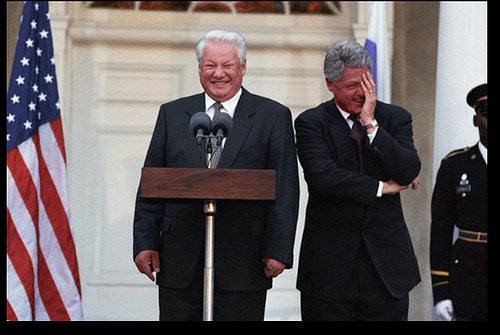 Boris Yeltsin paid a visit to the United States in late September 1994. During a busy schedule he gave an address to United Nations General Assembly and held a summit with President Clinton. He also held business meetings in cities such as New York, Washington and Seattle. On his return journey to Moscow the Russian President was due to hold a meeting with An Taoiseach Albert Reynolds at Shannon. The meeting was to be followed by a reception at nearby Drumoland Castle. President Yeltsin’s plane circled Shannon Airport for an hour before landing. When it finally landed the red carpet was rolled out. Mr Reynolds together with officials from the Irish Government and officials from the Russian Embassy waited for 15 minutes on the tarmac before being told that Mr Yeltsin was not available to meet them. The Russian Deputy Prime Minister Oleg Soskovets, who reported the President was asleep held a brief meeting with An Taoiseach. Later in Moscow Yeltsin said he had overslept and would punish the officials who had failed to wake him. Yeltsin returned to Ireland in 2006. He went shark fishing off the Cliffs of Moher and had lunch on Inis Oírr. Boris Yeltsin, President of the Russian Federation, failed to leave his plane at Shannon Airport to meet with Taoiseach Albert Reynolds in the year 1994 On This Day. Pope John Paul II visited Ireland in 1979. He was the first pontiff in history to visit Ireland. During the three days he spent in the country the Pope visited Dublin, Drogheda, Galway, Knock, Clonmacnoise, Maynooth and Limerick. He was greeted by large crowds at every location. 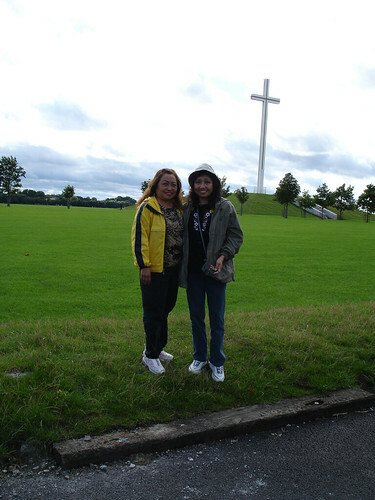 Over 1.25 million people welcomed him at a special mass in the Phoenix Park on the first day of his visit. Pope John Paul II arrived at Dublin Airport in the year 1979 On This Day. James Hoban, Architect of the White House, was born in Kilkenny, Ireland. In 1981 a stamp was jointly issued in his honour by the Irish Post Office and the United States Postal Service. It was the first occasion that the Irish Post Office did a joint stamp issue with a foreign postal service. Called the James Hoban Commemoration Stamp its design was the same for both countries. James Hoban was born in Kilkenny 1758. He grew up on an estate of the Earl of Desart in Cuffesgrange near Callan, County Kilkenny. Until his early 20’s, he worked on the estate as a wheelwright and carpenter. From there he moved to Dublin to study at the Dublin Society’s Drawing School on Lower Grafton Street where he excelled at his studies. Having completed his studies in 1779 he worked on various building projects in Dublin including Dublin City Hall. He is credited with the building of Belcamp House in Dublin. The building has been described as a mini Whitehouse complete with ‘oval office’. Belcamp House later became Belcamp College which closed in 2004. 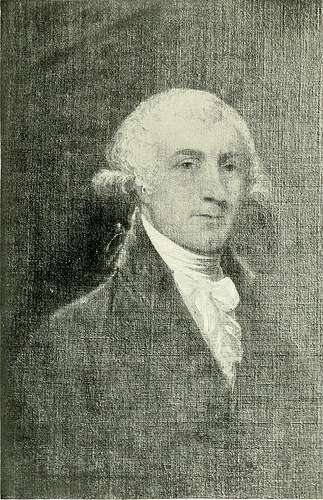 By the year 1785 Hoban, having emigrated to the United States, had established himself as an architect in Philadelphia. He later moved to Charleston South Carolina where he designed both private and public buildings. The courthouse in Charleston which he remodelled form the old colonial state house is still in use today. James Hoban won a competition to design the residence of the President of the United States now called the White House. He oversaw its construction from 1793 to 1800. During the war of 1812 the building was attacked and burned by the British who had invaded from their base on Ireland Island in the Caribbean. Hoban supervised the restoration work which was completed in 1817. The White House is modelled on Leinster House in Dublin, a fact acknowledged by President John F Kennedy in his speech to the Oireachtas in 1963. Irish artist Ron Mercer and American designer Walter Richards collaborated to design a stamp in honour of James Hoban. A dedication ceremony announcing the release of the stamp was attended by the then First Lady Nancy Regan and the then Irish Ambassador to the United States Sean Donlan. The dedication ceremony for the James Hoban Commemoration Stamp took place in the White House in the year 1981 On This Day. Photo by Glyn Lowe Photoworks. The Game Boy is a handheld game console. Developed and manufactured in Japan by Nintendo, it is one of the most successful game systems of all time. The Game Boy and its successor Game Boy Colour have sold over 100 million units around the world since first launched in Japan on April 21st 1989. Game Boy has four operation buttons and a directional pad. It also has volume and contrast control knobs. When first produced Game Boy came with the puzzle game Tetris. The games for the console are on a ROM cartridge which is inserted in the top rear of the console. Other games such as Donkey Kong, Super Mario and Pokémon are also available. Game Boy was first released in Ireland in the year 1990 On This Day.